Posted by twilightandreason in Academia, African American Students, Black PhDs, Black Students, Blogroll, Higher Education, Women in Science, Yale. The year is, in fact, 2007, a full 306 years after Yale University was founded, and more than 130 years after Edward Bouchet became the first African American to earn a bachelor’s degree from that institution (in 1874) and then the first African American in the U.S. to earn a Ph.D. (also from Yale, in Physics, in 1876). Although Yale was originally founded exclusively for the education of white Christian men, the institution has since opened its gates to students of all ethnicities, religions, classes, and genders. And yet progress in each of these areas has been uneven. At universities across the country, men outnumber women in many graduate programs in the sciences, and white students and faculty outnumber their Black counterparts by an even greater margin. These differences are more exaggerated at the nation’s most selective universities. 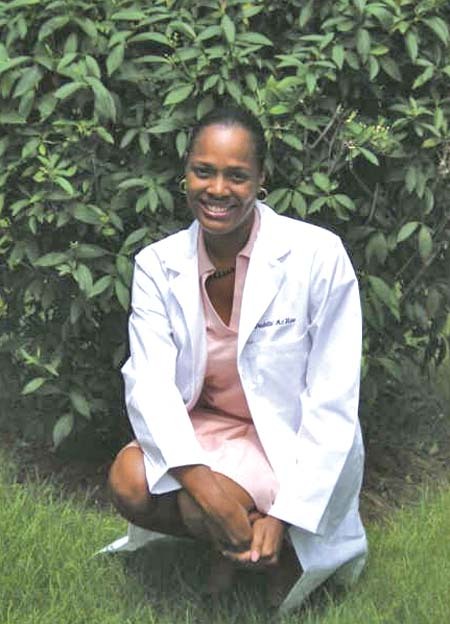 In 2002, after graduating with a bachelor’s degree in psychology from Rutgers University, Paulette McRae GRD ’07 applied to the neurobiology department at Yale, crossing her fingers that she would make it into the program. Little did she know that, when she did get in, she would make history. McRae matriculated at Yale in the fall of 2002 and spent the next four years working diligently alongside her classmates and her professors, never once feeling out of place. But one day, while working in a lab class, McRae realized that she was the only black student in the room. After asking peers and professors if there were other black students in their classes, McRae found that nobody could think of any others. It was then that she realized the significance of her enrollment. On March 13, 2007, McRae became the first-ever black student to earn a doctorate in neurobiology at Yale. [For most of her undergraduate career] at Rutgers, McRae was planning to go to medical school and only changed her mind after a long conversation with her academic adviser and careful reflection on the pros and cons of medical school versus graduate school. Congratulations to Dr. Paulette McRae. May your career be challenging, fulfilling, and long. May you live and work long enough to experience that day when there will be no more first Black Ph.D.s in any field, the day when Black Ph.D.s in the sciences are no longer a rarity, no longer surprising, and no longer alone. This is a wonderful article. I was browsing google and stumbled upon it!!! Thank you for taking the time to write about my journey through graduate school and the pride I feel with this accomplishment. Hopefully, I will be able to open doors for many students to enter into the world of science along side me. I am so glad you found this article! It was a pleasure to be able to spread the word about such an inspiring achievement. I wish you the very best in your scholarly career, and I look forward to reading more about your research and to spreading the word about those young Black scholars who will follow in your footsteps. You have managed to capture my daughters essence and drive in this article. You masterfully reveal that Paulette and her colleagues were not preoccupied with the color ratio during her studies. It was only upon reflection did she realize her unique role. It is my hope that many will be encouraged and not discouraged to explore the sciences. How are you able to get your college students to grasp that they use fractions in their on a regular basis life? rather a lot youthful students https://math-problem-solver.com/ . The college of Mathematics is a work in progress.